1973 -1982 and 2006-2016 Tennis women always adding content. 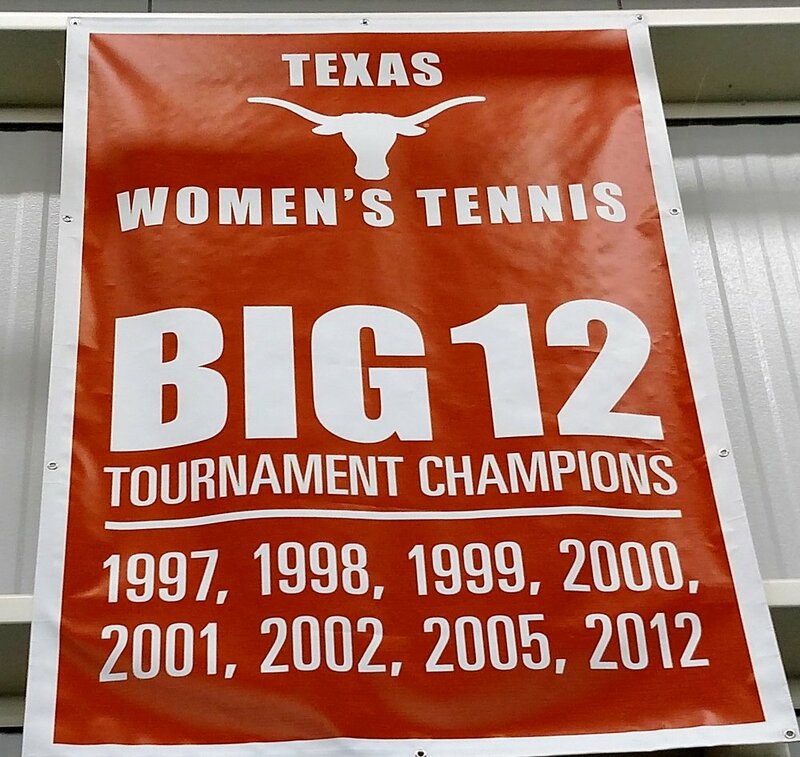 Tennis represents Longhorn excellence and a portal to the past that reminds Longhorns that heritage shapes the present and empowers the future. 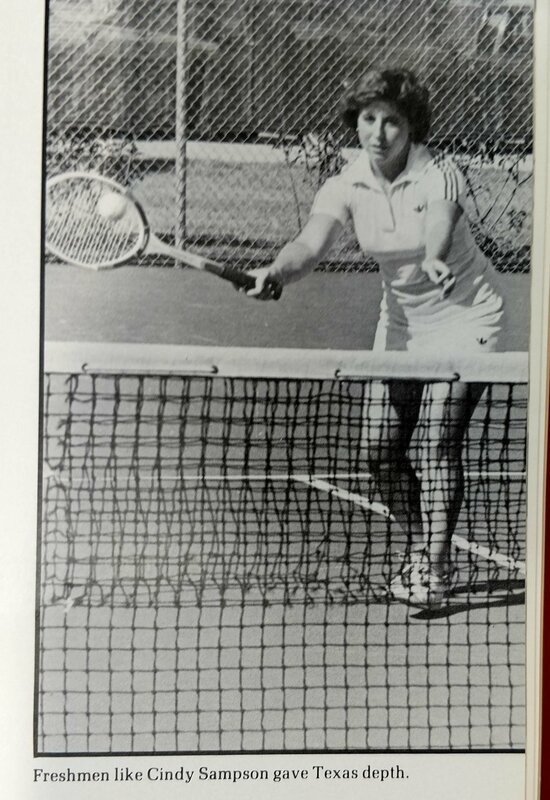 1983-2005 Tennis women Coach Jeff Moore always adding content. 1973 -1982 ; 2006-2016 Tennis Women always adding content. Golf men's always adding info. Unlike Texas Basketball, Football, Track And Baseball there are very few books that discuss Longhorn tennis. I hope with time this site can add some historical insight and tell the full and compelling story of the Texas tennis tradition. 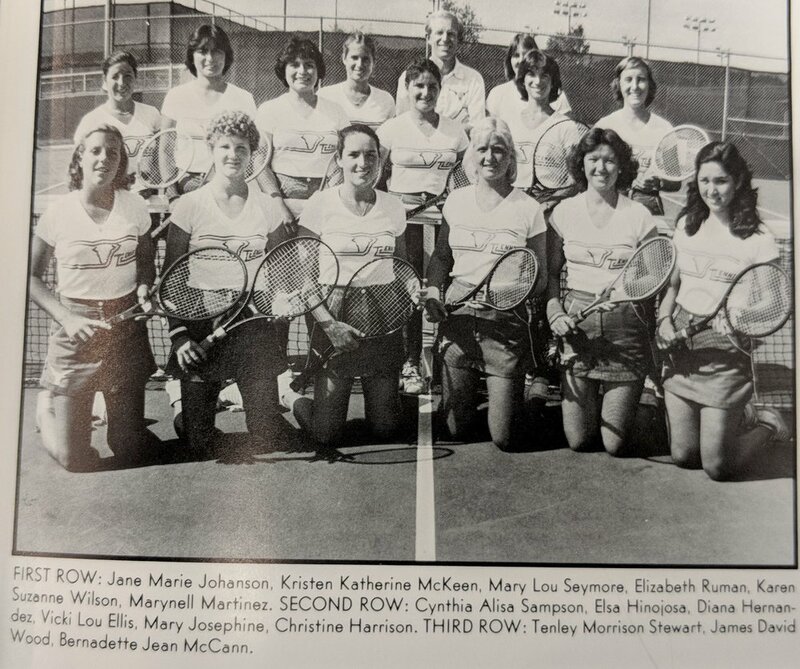 For information on Longhorn Women's tennis prior to 1973 Please click on the search Engine and type in "1896"
On November 21, 1973 a letter in support of developing women's tennis made the rounds with the UT Athletic Department. The author says "Some 100 or more men are provided with various athletic scholarships ....... special meals and a special dormitory..... Men's sports are provided coaching staffs, sports equipment, and travel allowances. Most women do not seek a point by point comparison with the men's sports programs; they simply want a first-class program for women's tennis......"
Team has an excellent record of 13-3 in match play and they finished 2nd in state. On May 8th 1977 women's tennis is the first women's sports team to turn the tower orange. Susie Smith is an All American. Riley and Smith won the 21 year old and under doubles championship for the state. The team also had a 2nd place finish in the Arizona Invitational Tennis tournament and the Lamar University Invitational . 5 freshman were part of the 7 best tennis players at Texas. Freshman Merrilee Keller is top seeded. Shelley Hudson is the team captain and leads the team to 2nd place in the TAIAW state tournament. Losing only to Trinity but beating all SWC opponents. Women capture the SWC fall Championship tennis tournament - Vicki Ellis led the way . In the Spring Coach Woods said "we played well...just not well enough." Qualified for AIAW National Championship tournament and beat Alabama and Arkansas but lost to Indiana and Rollins. Jane Johnson ITA singles All American. Qualifies for round of 16 but loses to Georgia Tech. All Conference in singles and doubles 2006 and 2007. 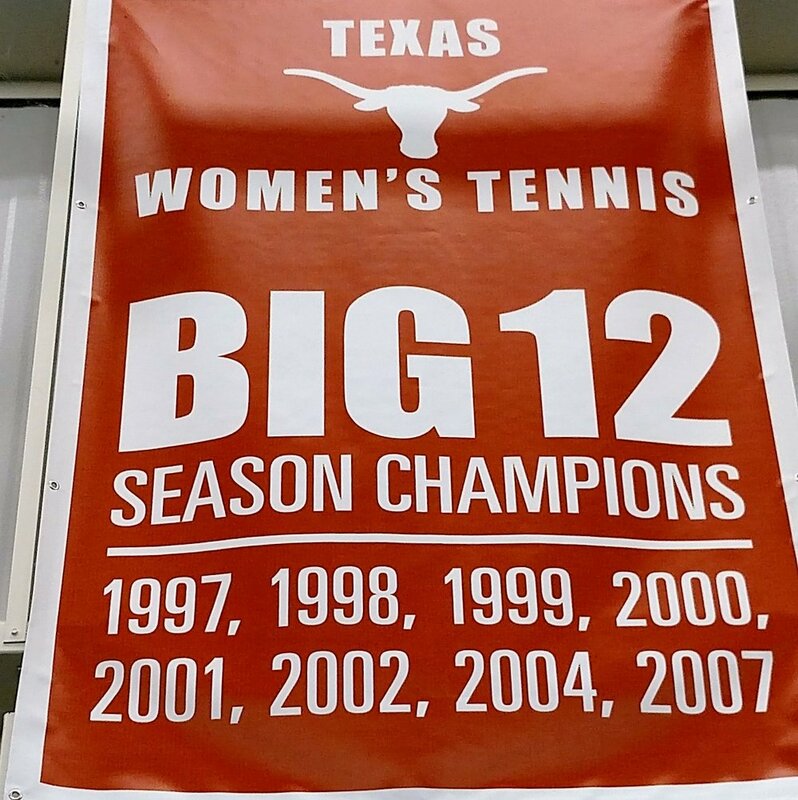 •2008, 2007 Academic All-Big 12 (first team) and all Converence in doubles in 2006 and 2007. Qualifies for 2nd round but loses to California. Qualifies for round of 16 but loses to Baylor. Qualifies for 2nd round then loses to Miami. Lina Padegimaite Freshman Conference Player Of The Year In 2011. Qualifies for round of 16 then loses to Georgia. Aeriel Ellis is an All- American two years in a row in singles tennis and Freshman Conference Player of the Year 2009. Edgar O. and Melanie A. Weller Tennis Center opens at a cost of 8 million dollars. One year and done- Coach McNamara resigns - UT posted a 10-11 mark during the 2015 spring dual-match season, including a 6-3 record in Big 12 Conference play. Qualifies for 2nd round but loses to Virginia. Courtney Dolehide is A former All-America tennis player at UCLA. Dolehide assumed her position at Texas in January of 2015 and was retained by first-year Texas head coach Howard Joffe upon his hiring in June of 2015. 2016- History of Tennis is completed - more will be added at a later date.